An A5 Wallpaper Melbourne city guide design separated into five colour coded mini publications; introduction, urban life, shopping, architour, street life. 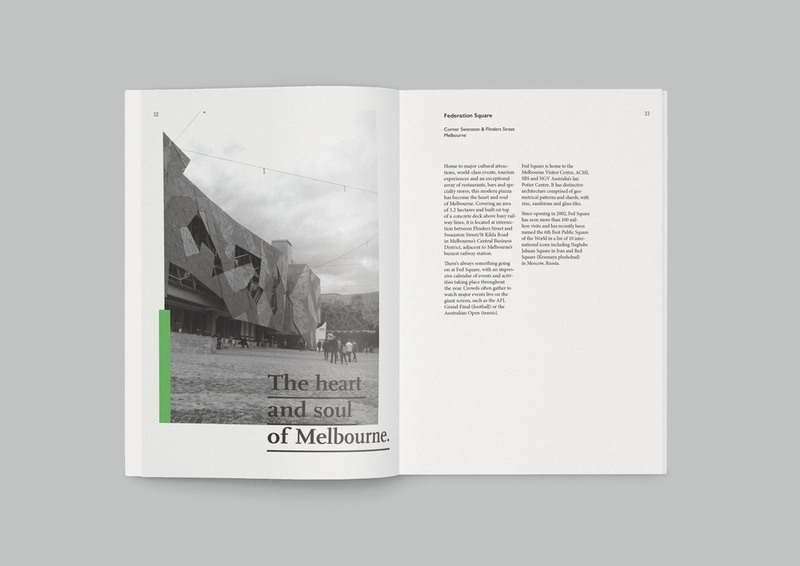 The design aims to embrace the feel and atmosphere of Melbourne, taking particular inspiration from the physical guided structure of the city. It includes my own photographs.